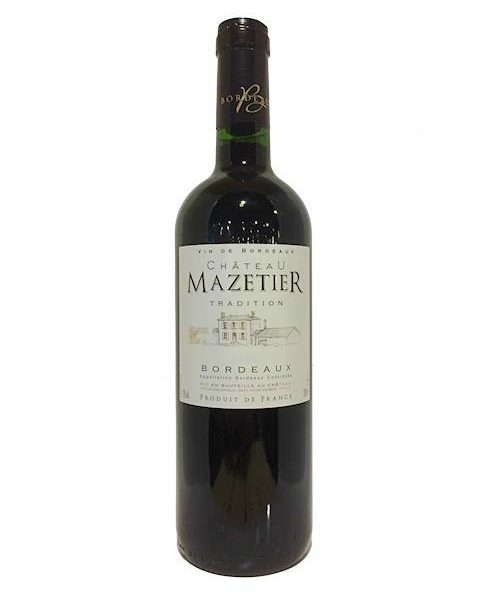 The 2015 Chateau Mazetier, is from Bordeaux, France. Young and fruity, this is a bright, crisp wine from Bordeaux is packed with red berry fruit flavors. A smoky character underlies the fruit, allowing some toast and spice to come through. This is one of the best grilling wines so enjoy with a cheeseburger smothered in mushrooms!!! One of the most important wine regions of the world in both quantity and quality is Bordeaux, France. Bordeaux is a powerhouse producer in wines of all colors, sweetness levels, and price points. Separated from the Atlantic ocean by a coastal pine forest, the mostly flat region has a mild maritime climate marked by cool wet winters and a warm, damp growing season, though annual differences vary enough to make vintage variation quite significant. A Bordeaux Blend is any combination of those grape varieties typically used to make the red wines of Bordeaux. The phrase Bordeaux, which seems to have originated with British wine merchants in the 19th Century, relates as much to wines made from the blend as to the grape variety combination itself. Light ruby red color. Complex and persistent aroma, with youthful notes of fresh fruit and violets. Light-bodied, harmonious and round on the palate, with flavors of red fruits, black currant and plum. Location: The Greve district in the northern portion of Chianti Classico, south of Florence in Tuscany. 105 acres of vine planted at altitudes ranging from 1,150 to 1,480 feet in Verrazzano’s limestone-rich soil. Though present in warmer, southern areas of Chianti Classico, limestone is unique to Verrazzano in the cooler, northern portion of the district. The soil here is extremely lean and stony (43% lime, 29% clay, 28% sand). Fertilization is entirely organic. The 2015 Cafaggio single Estate, Chianti Classico does not disappoint in its flavor profile and its Italian roots remind us all of family gatherings and big hearty meals! A sleek, supple red, boasting cherry, strawberry, floral and spice aromas and flavors. This Chianti is very pure and harmonious, persisting on the detailed aftertaste. This wine is best if served now through 2024. It’s currently available at both our Mandeville and Covington locations. A 90 point winner from Wine Spectator, come and get some quickly and plan your next Sunday dinner, Italian style. 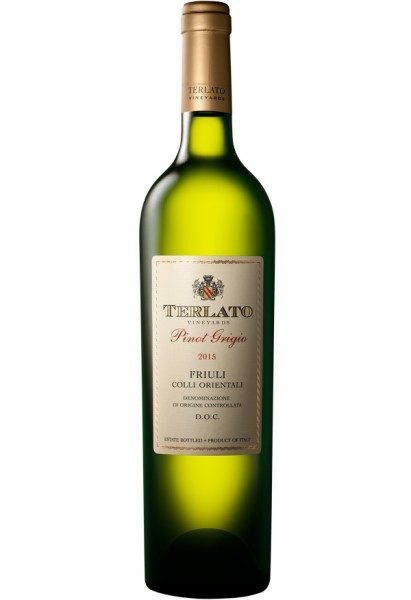 This Pinot Grigio comes from the Friuli region, which is known as one of the best regions for luxury Pinot Grigio in the world. The fruit is handpicked from hillside estate vineyards that are carefully tended to create a fuller-bodied Pinot Grigio with expressive fruit and mineral character. The wine has bright aromas of white peach, pear and spring flowers. It is complex and layered with ripe peach, apricot, and pear. A mouth filling texture and crisp, mineral finish. This refreshing white goes well with shellfish, white fish, appetizers and sushi. All available at Acquistapace’s. Stop in today for yours! “Treat the vine well and it will repay you” is the motto of the family responsible for this organic wine. The Cassey’s have a strong belief in the environment and believe in a sustainable approach. Cuvée Alexandre Chardonnay is a wine of elegance. Part fermented in steel vats and part in French barrels to ensure freshness and complexity.Bright light yellow with subtle green notes. An expressive bouquet with delicate floral aromas and sweet notes of fresh tropical fruit, such as mango and papaya. Cuvée Alexandre hails from the Atalayas Vineyard in Valle de Casablanca, Chile where the cool Pacific Ocean breezes allow grapes to develop slowly and elegantly. In founding Lapostolle, Alexandra Marnier Lapostolle continues a unique family legacy of fine wine and liqueur production – for six generations her family has produced Grand Marnier. The family has pursued the same uncompromising approach to quality that make Grand Marnier a global success. Its objective is as simple as it is ambitious: to create world-class wines using French expertise and superb terroirs of Chile. This Sonoma Coast Rosé is a vivid ruby red color. A bouquet of fresh cut strawberries and rose petal mingle with subtle hints of white flower. It is bright and crisp with juicy and forward notes of cherry, raspberry, and pink grapefruit. Its crisp acidity and lush mouthfeel lead to a clean and refreshing finish. One of the pioneers in the Sonoma Valley, Chalk Hill was founded in 1972 by a San Francisco attorney named Fred Furth. Fred was struck by the awesome beauty of the land while piloting over it one day, and the rest, as they say, is history. While 46 years is relatively a short span in the world of wine, in California, it’s a lifetime. After all, this was before Jordan, before the legendary “Judgment of Paris” tasting of 1976, and only six years after Robert Mondavi Winery was founded. Chalk Hill Winery built a reputation on Cabernet and Merlot, but soon found footing with the cool-climate Pinot Noir as well. Needless to say, the winery has excelled at every level. 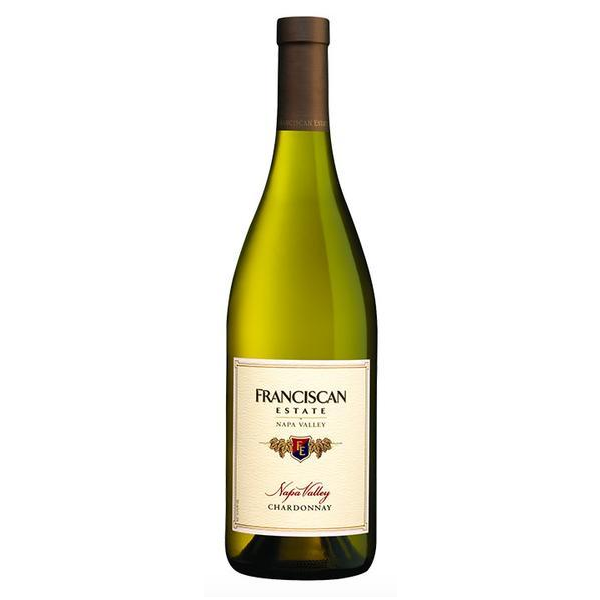 A deliciously refreshing Pinot Grigio from the northeast of Italy with a lovely floral aroma. Masses of fresh fruit flavors on the palate and a rush of citrus acidity make this wine perfectly balanced and totally refreshing. An elegant style of wine which is ideal on its own or with creamy pasta sauces, fish dishes or white meats. Wine of Italy.An elegant dry wine with floral notes and fresh flavors which provide a refreshingly crisp finish. 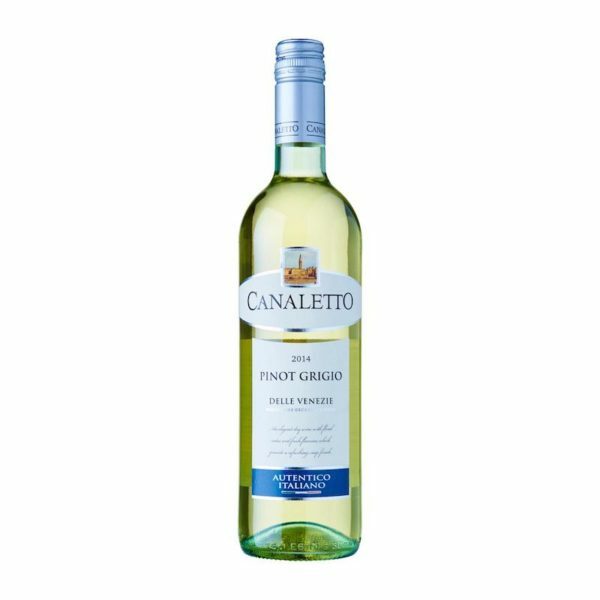 Canaletto Pinot Grigio comes from Veneto region, in the northeast of Italy, home to Venice and Lake of Garda. This elegant wine is ideal on its own, or with creamy pasta sauces, fish dishes, and white meats. A light, well-balanced summer sipper that has more interest than your average Provençal rosé. 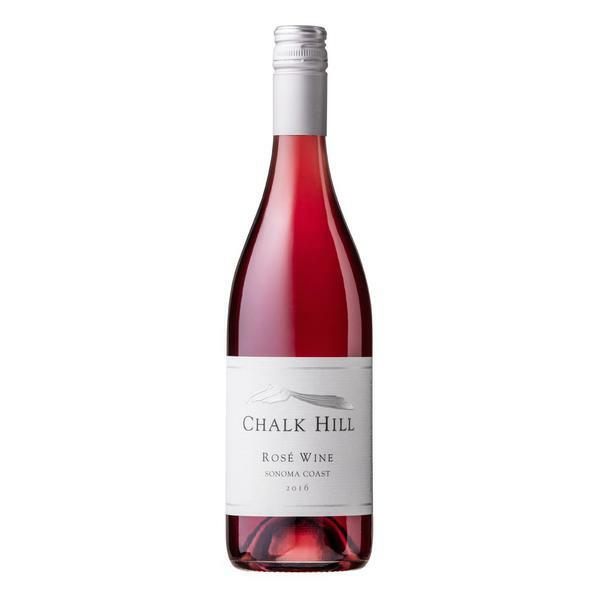 The aromas are a bit confected and floral, with lots of red cherry and strawberry, but there’s a nice savory quality that adds interest and lift to the palate. 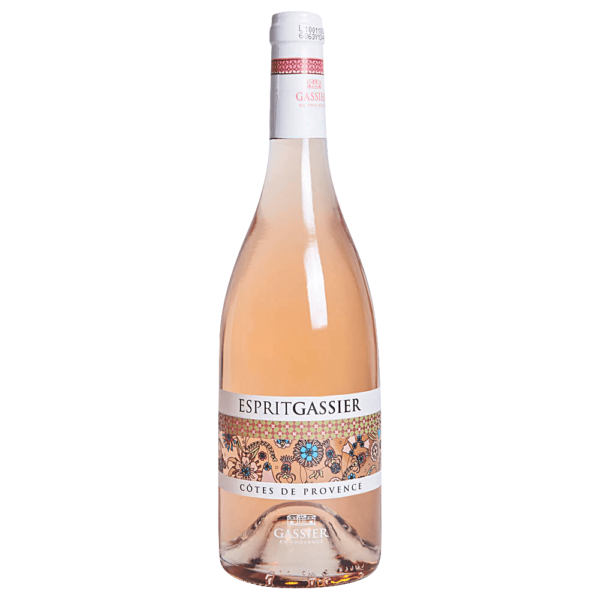 Esprit Gassier Rose hails from Château Gassier which is at the foot of Mount Sainte Victoire in the Cotes De Provence Appellation. From that point, the Gassier family has been deeply established in Provence. For centuries, his history was in Saint-Estève (Hautes-Provence) before starting from fresh in 1982, buying some 100 acres at the Sainte-Victoire mountain foothill, that will later become what is now the Estate of Château Gassier. Ruinart’s Blanc de Blancs is the perfect expression of Ruinart style. Made using only chardonnay grapes, it is a blend of its best base wines, giving it aromatic richness, freshness and an exceptional purity. Timeless quintessence of the Ruinart taste, this cuvée is the greatest expression of such rare refinement. 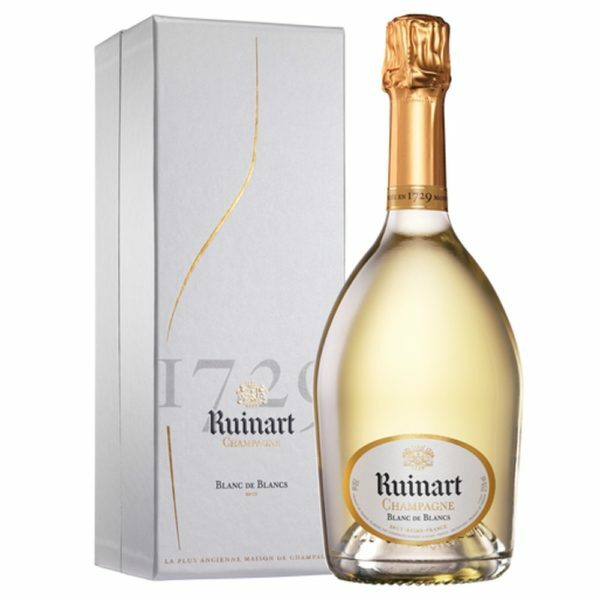 The House of Ruinart was founded on September 1, 1729 by Nicolas Ruinart. His uncle, a learned Benedictine monk called Dom Thierry Ruinart had incredible insight. He foretold that this new “wine with bubbles”, developed in his native region of Champagne and which the royal courts of Europe adored, was destined for a bright future. The creation of the House of Ruinart coincided with the dawn of the Enlightenment in France and of the French “art de vivre”. There arose in France a true culture of everything good and beautiful, favoring fine and elegant, light and sophisticated, delicate and rare taste. The cuvées naturally found their place. Beaujolais Nouveau is arriving again! The third Thursday of November marks the return of the famous wine into our lives. 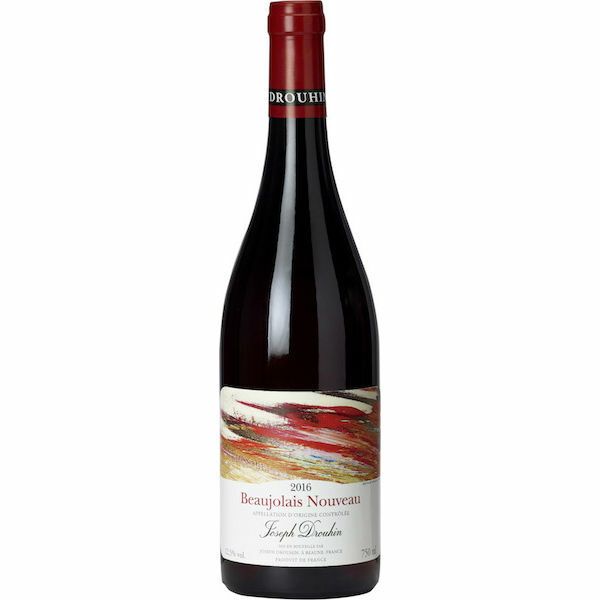 Along with an excuse for an annual party, the midnight release of Nouveau gives wine drinkers an early look at how France’s Beaujolais region, south of Burgundy, fared in the latest vintage. Though very young, their overall character hints at what might be expected from the more prestigious cru Beaujolais that have become increasingly popular. The 2012 Cheateau D’Arsac is a medium bodied BORDEAUX BLEND. 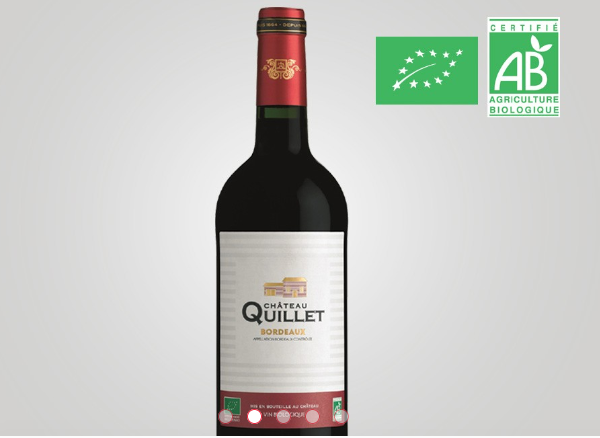 The smoky, red berries, round textures and fresh, black cherry finish coupled with a fair price works for a user friendly wine from Margaux. Chateau D’Arsac can be enjoyed on the young side with decanting. Young vintages can be decanted for an average of 1 hour, give or take. This allows the wine to soften and open its perfume. Older vintages might need very little decanting, just enough to remove the sediment. Chateau D’Arsac is usually better with at least 5-8 years of bottle age. Of course that can vary slightly, depending on the vintage character. 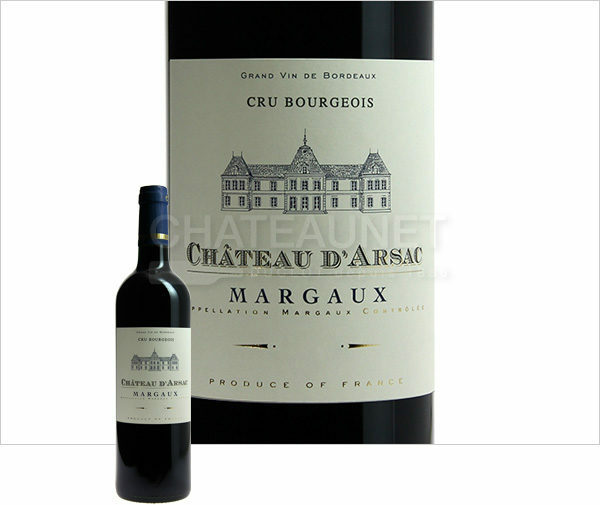 This wine is made with a grape blend of Cabernet Sauvignon and Merlot from the region of Bordeaux Margaux. Its best paired with all types of classic meat dishes such as veal, pork, beef, lamb, duck, game, roast chicken, roasted, braised and grilled dishes. We have plenty in stock!! Come try some today! Here is the cheese of the month of November. Harvest 2015 was the earliest start ever for Franciscan Estate. Vineyards were off to a fast start after a very warm, dry spring, and cool temperatures during bloom resulted in less crop. With fewer grapes to ripen, vines quickly finished the maturation process. Though yields were lower than usual, fruit quality was high, as warm, sunny days and cool evenings during September and early October completed the ripening process. Chardonnay harvest began on August 17 and was completed on September 15. What is it about sparkling wine? Those bubbles can certainly seem refreshing on a hot day. And then there’s the food pairings. Champagne and strawberries, and oysters, and caviar – all standard and popular. Champagne and … fried chicken? Just ask Adam Acquistapace, who directs the wine and spirits department at Acquistapace’s Covington Supermarket. Adam seems to be onto something, as suggested in this article, which featured unique sparkling wine and food pairings, including one with fried food. 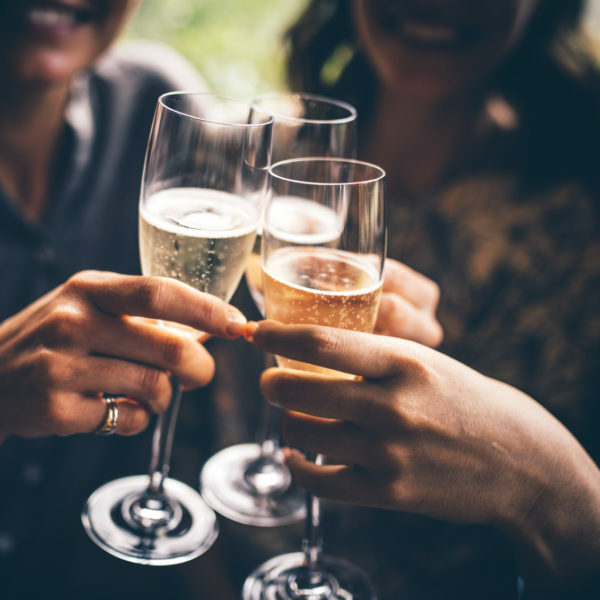 Sparkling wine has that refreshing aspect to it, but there are the levels of sweetness that make for interesting pairing combinations – for example, Extra-Dry vs. Brut. Looking for a particular sparkling wine, or the best match for a particular event or food? Adam and his staff at Acquistapace’s are ready to help in selecting wine and spirits for any occasion.